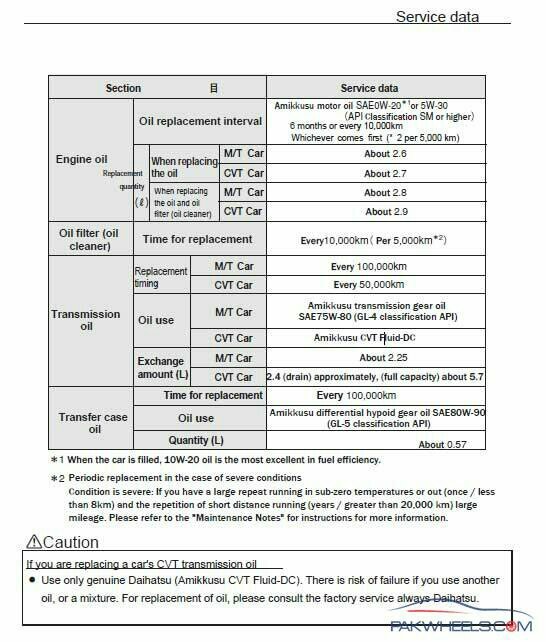 User manual recommends Ammix CVTF Fluid DC but this is not available in Pakistan so which oil should I use?? Go ask toyota, Im pretty sure it would be compatible to their CVT-TC part no. Thanks mate for raising this. I would also like to know. Secondly, can you share user manual with me? It is in book form and in Japanese. Should i go for drain or full capacity change? what is transfer case oil ?? Which OIL to choose for move 2010 turbo intercooler FE or TC ? ?